Content by Tony Macklin. Originally published on January 1, 1978 @ tonymacklin.net. After a car accident, Marty Adams goes home in a police car. As he does, he thinks back over his past accomplishments and frustrations. He is broadcaster for the Philadelphia Eagles football team, and a galling and ceaseless frustration is the inability to win the big game. 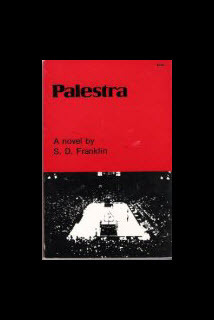 And, the Palestra, where as a young man he saw many college basketball games, represents an ideal which has lost its vitality. Vince Staten (Louisville Times): "I'm jealous. I think this is a very important book. I only wish I had written it. Palestra is the sports' Ragtime."